At Pediatric Heart Specialists, we offer the following tests and procedures. For the convenience of the families we serve, many of these can be performed at the time of your visit in our office. When warranted, we use hospital outpatient or inpatient service for more sophisticated tests and procedures. An arrhythmia is an electrical disturbance of the heart. Common arrhythmias in pediatric patients include premature ventricular or atrial contractions, as well as supraventricular tachycardia (SVT). All of our physicians are experts in the diagnosis and management of pediatric arrhythmias. A cardiac catheterization is a procedure by which a catheter (a long, thin, flexible tube) is passed into the heart to allow for more exact testing than noninvasive studies can provide. 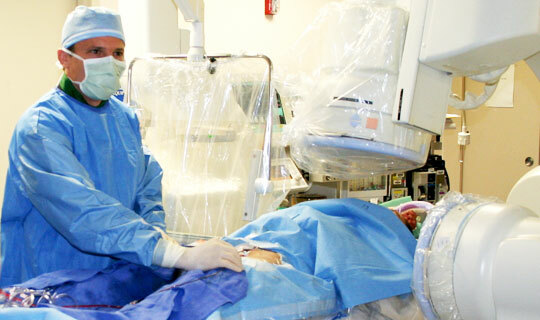 Cardiac catheterizations are performed in a hospital setting with the use of sedation or anesthesia. We offer full cardiac catheterization services at Pediatric Heart Specialists. A cardiac event monitor is a small, portable device that can be used to record a patient’s heart rhythm during symptoms such as palpitations or chest pain. Typically cardiac event monitoring is used in situations where a patient's symptoms may be relatively infrequent. Our office generally provides cardiac event monitoring for a time period of at least one month. Risk factors for the development of atherosclerosis and premature coronary artery disease include hyperlipidemia, diabetes, obesity, hypertension, cigarette smoking, and a family history of early heart disease. Our physicians are happy to provide you with assistance in screening for risk factors, as well as provide counseling for those patients in whom an increased risk is identified. An elevated cholesterol or triglyceride level can be a risk factor for the development of coronary artery disease and atherosclerosis later in life. More and more frequently elevated lipid levels are being identified in children and teenagers. Our office offers comprehensive evaluation and management of young people with lipid disorders. All of our physicians are experts in the field of congenital heart disease diagnosis, evaluation, and management. Some of the more complex forms of heart disease that we treat include hypoplastic left heart syndrome, tetralogy of Fallot, transposition of the great arteries, pulmonary valve atresia, pulmonary valve stenosis, aortic valve stenosis, atrioventricular canal defect, ventricular septal defect, atrial septal defect, Ebstein’s anomaly, and coarctation of the aorta, as well as many other forms of heart disease. We are also experts in heart rhythm disorders such as supraventricular tachycardia (SVT). We will provide informative and compassionate counseling to you and your family. When necessary, we will arrange for further consultation with a congenital heart surgeon should you desire. An echocardiogram (or “echo” for short) is simply an ultrasound of the heart. A transducer which emits sound beams is placed on the child's chest to clearly visualize the heart structures. An echo is a completely painless procedure which typically takes between 15 and 30 minutes to complete. It is used most commonly to evaluate for possible structural defects of the heart. In our office, echoes are performed by both physicians as well as technicians in a calm and relaxing atmosphere for your child. Our rooms are equipped with televisions and DVD players to ease any stress that your child may experience. An electrocardiogram (ECG) is a recording of the electrical forces in the heart. It allows for the detection of heart rhythm abnormalities such as supraventricular tachycardia or atrioventricular block. It can be done on children of any age and is completely painless. All of our physicians are experts in fetal cardiac diagnosis and management. We work closely with your obstetrician and perinatologist to assist in the management of your child. We have extensive experience with all forms of complex congenital heart disease, including hypoplastic left heart syndrome, tetralogy of Fallot, pulmonary valve atresia, aortic stenosis, transposition of the great arteries, atrioventricular canal defect, ventricular septal defect, Ebstein’s anomaly of the tricuspid valve, and coarctation of the aorta, as well as many other forms of heart disease. We are also experts in heart rhythm disorders such as supraventricular tachycardia (SVT) and congenital complete atrioventricular block. We provide informative and compassionate counseling to you and your family. 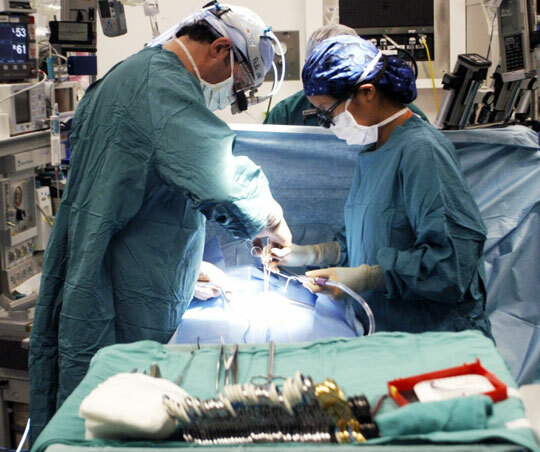 When necessary, we can arrange for further consultation with a congenital heart surgeon. A fetal echocardiogram is a detailed study of the heart of a developing fetus. Your doctor may request a fetal echocardiogram for a number of different reasons. These may include suspicion of a congenital heart defect, a family history of congenital heart disease, or certain conditions in the mother which may predispose to heart disease such as diabetes or phenylketonuria. A fetal echocardiogram can usually be performed successfully after 18 weeks gestation, occasionally sooner. 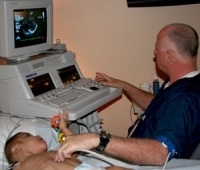 The physicians at Pediatric Heart Specialists are experts in fetal echocardiogram perfomance. All our locations throughout Dallas and East Texas have the capability to perform fetal echocardiograms. 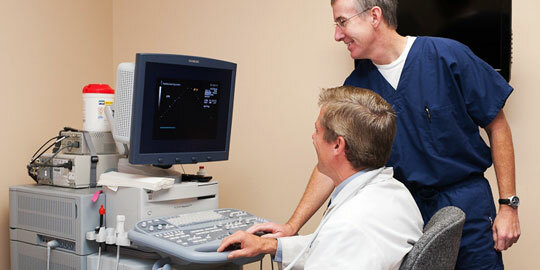 Your fetal echocardiogram will be performed in a private room by one of our physicians. Once the study is complete, the doctor will spend as much time as is necessary reviewing the results with you and providing in-depth counseling. We understand that this can be an extremely stressful time for you. Our physicians and office staff will treat you with compassion and understanding and will work hard to make your visit as informative as possible. 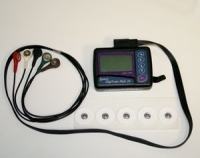 A Holter monitor is a device which records a patient’s heart rhythm for a 24-hour period of time. It is typically used to detect heart rhythm disturbances which may not be picked up by an ECG. Hypertension (elevated blood pressure) represents one of several risk factors for the development of atherosclerosis and coronary artery disease later in life. More and more frequently hypertension is being identified as a problem in young people. The physicians at Pediatric Heart Specialists are experts in the evaluation and management of pediatric hypertension. A stress test involves a patient exercising for a certain amount of time during which certain vital parameters are monitored such as heart rate and rhythm, ECG, and blood pressure. Stress testing is useful in the evaluation of numerous different symptoms such as chest pain, palpitations, and dizziness. It can also help assess the overall fitness of a child or young adult. Our office provides all the necessary equipment to perform a thorough stress test on your child. Surgical intervention is occasionally necessary in the setting of congenital heart disease. Heart lesions commonly requiring surgical intervention include ventricular septal defect, atrial septal defect, tetralogy of Fallot, coarctation of the aorta, patent ductus arteriosus, transposition of the great arteries, and tricuspid atresia. Pediatric Heart Specialists has all the tools needed to make an accurate and informed diagnosis, and when necessary, refer your child for further surgical care. A transthoracic echocardiogram (or “echo” for short) is simply an ultrasound of the heart. A transducer which emits sound beams is placed on the child's chest to clearly visualize the heart structures. An echo is a completely painless procedure which typically takes between 15 and 30 minutes to complete. 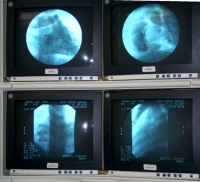 It is used most commonly to evaluate for possible structural defects of the heart. In our office, echoes are performed by both physicians as well as technicians in a calm and relaxing atmosphere for your child. Our rooms are equipped with televisions and DVD players to ease any stress that your child may experience.